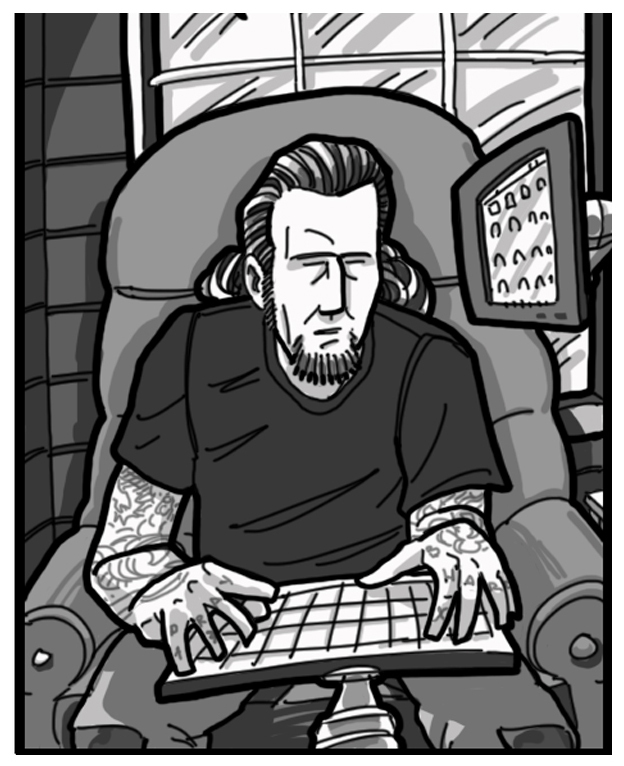 At the suggestion of so many tattooers and friends out there, (who I HOPE will step up now and get involved) we are going to do some experimenting with expanding the scope of the TAM Blog and invite folks to make it more personal, more cultural and more meaningful. There's still a need for interviews and highlights, for all the stuff that we've been doing here together this last year and a half... It's important and effective, but let this be THE OFFICIAL INVITATION for our community to expand these parameters and explore our potentials together! This is my first attempt at sharing something (outside tattooing) that I am passionate about; my newest hobby- amateur astronomy. I've always been captivated by space and by science. I remember watching the PBS series Cosmos as a child, hosted by the eminent Carl Sagan, and it had a profound impact on me. I even bought Stephen Hawking's best seller, A Brief History of Time the week it came out, back in 1988. I was 17 years old and didn't understand most of it (of course) but it sparked within me the desire to learn and to know as much as I could... and those youthful experiences of wonder formed a drive within me that has remained the prime motivator for my entire life. I live to learn... and to share, actually; I guess that's what TAM has always really been about... It's just my offering to this thing of ours, my attempt to honor tattooing and the people who have inspired me or taught me over these 22 years of being in the tattoo world. And it's also become about giving other tattooers the opportunity to participate in the very same process which I've found so enriching these last nine plus years working on the TAM project, by allowing others to showcase the people that inspire and impact them. TAM is a true COMMUNITY PROJECT and it always will be. Anyway... Late last year I saved up $600 to purchase a mid-grade telescope for myself and my kids to play with over the winter months and it has been one of the best decisions I've ever made, providing us with countless late night hours of inspiration, awe and wonder. There's nothing better than hearing the word, "WOW" escape from the mouths of your children, or yourself. -With exceptionally dark skies, (thanks to the absence of the moon that night) I finally, after months of trying, definitively observed my first galaxies! Check out this breathtaking video of Saturn and Jupiter, made from still images taken during the Cassini and Voyager missions! 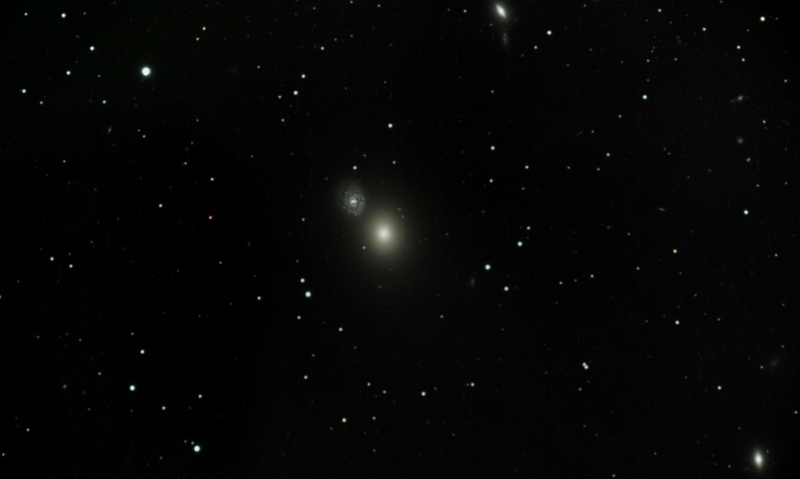 After approximately an hour on Saturn I decided to try to find “Markarian’s Chain", a relatively small area of the Virgo Galaxy Cluster where it’s possible to see up to eight galaxies in short distance from one another in the telescope. I’m still new to this amateur astronomy thing, so it takes me a while (sometimes days) to locate and view a particular object… When I’m lucky enough to do so! It gets much more difficult to observe deep sky objects as the things you’re looking for appear tinier and dimmer in the eyepiece. Up to this point I couldn’t say with confidence that I’d successfully found or seen a single galaxy with certainty, despite four months of effort. But on this night (with those extra clear and dark skies) I definitely observed the galaxy pair of M60 and NGC 4647, a dual galaxy some 65 MLY (million light years) away. It has a very unique appearance since the two galaxies seem to almost touch one another. In amateur telescopes (mine is a 10″ Dobsonian) stars are well-defined pinpoints of light and most galaxies generally look the same, but with a fuzzy haze around them. But SOME galaxies are large enough and bright enough, even in amateur scopes, to see detail. Finding two fuzzies that close together, in the area of sky I was looking into, and then comparing it immediately to the SkySafari iPad app I’m learning from, means I’ve passed another milestone of amateur astronomy– I’ve observed objects beyond my own galaxy! On the very same night I also observed another galaxy– M90, a mere 41 MLY distant and was able to observe the relatively faint though defined spiral arms of the galaxy using the technique of averted viewing, where you look slightly away from the area you’re concentrating on! A truly amazing evening! It’s still difficult to wrap my brain around it; I saw light that left a galaxy 65 MILLION years ago, and that light has traveled non-stop 186,000 miles per second for the entire journey; (that’s roughly 6 trillion miles per (light) year*, so about 390 million TRILLION miles!) 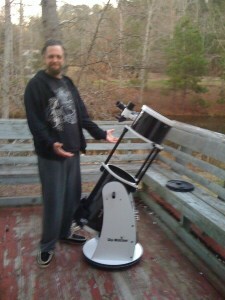 only to land in my 10″ telescope that night to be seen by me, and possibly no one else on the face of the Earth! A unique snapshot of the past! When the light from that galaxy began its journey to Earth, locally dinosaurs were facing planetary extinction, presumably from the impact of a mountain-sized meteor. In another 15 million years, mammals would be the definitive dominant lifeforms on our very cold (though warming) planet; another 49 million and that’s the point scientists have recently discovered the first evidence of fire being mastered by our ancestors...roughly one million years ago. WOW! We've come a long way since. No finer example could be demonstrated as to why I love this hobby so much! I have looked into the past, some 65 million years. Wow. That’s it. Just thought I’d share this amateur stargazing report. Remember, a lightyear is not a measure of TIME but of DISTANCE. It is how FAR light travels (in a vacuum) per year… at 186,000 miles/per second, 60 seconds per minute, 60 minutes per hour, 24 hours per day, for 365 days. Just to give it some perspective our galaxy, the Milky Way, is 150,000 lightyears from one edge to the other. 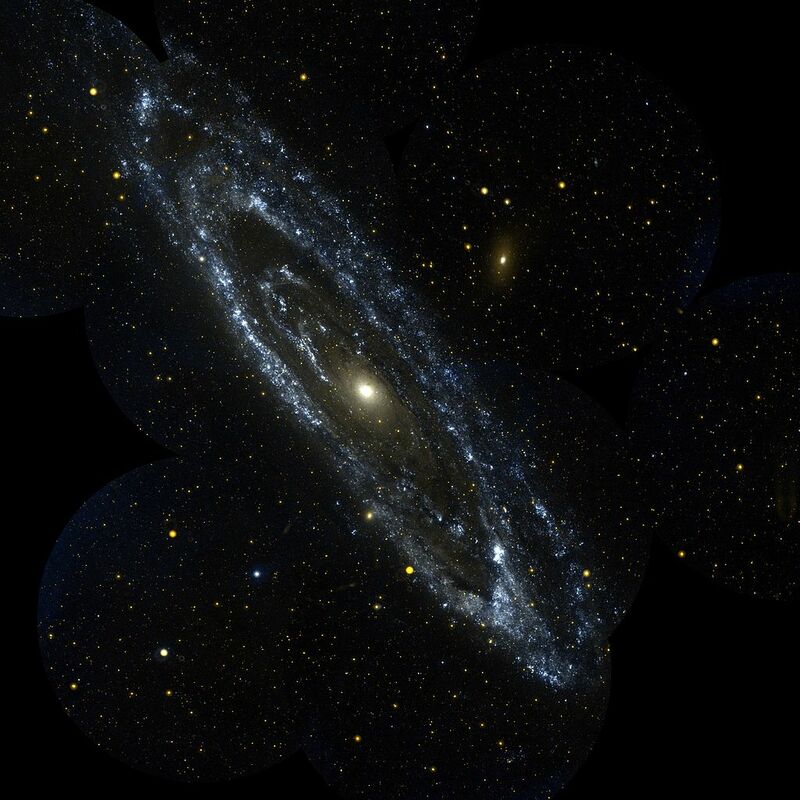 The closest galaxy to ours is Andromeda… and it’s estimated to be 2.5 MLY away from us! But the Hubble Space Telescope and other modern masterpieces of interstellar observation are capable of seeing galaxies up to 13 BILLION light years away from us! WOW!